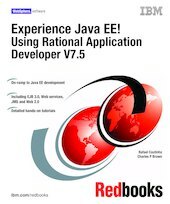 This IBM® Redbooks® publication is a hands-on guide to developing a comprehensive Java™ EE application using Rational® Application Developer V7.5 and the embedded WebSphere® Application Server V7.0 test environment, including items such as core functions, security, Web services, and messaging. - Before experiencing Java EE, you about the base specifications and intellectual knowledge of Java EE through brief descriptions of the theory and through links to other information sources. - After experiencing Java EE, you advanced Java EE through previews of advanced topics and links to other information sources. The target audience is technical users who have minimal experience with Java EE and the IBM WebSphere Application Server product set, but who do have past experience in using an integrated development environment (IDE) and in architecting or designing enterprise applications.